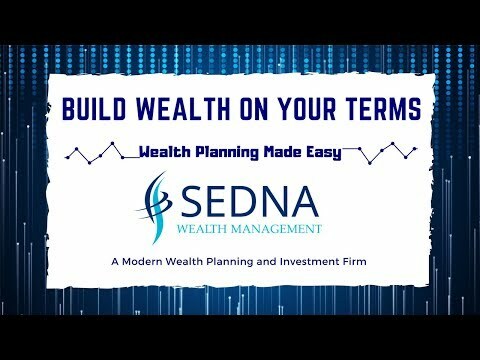 SEDNA Wealth Management's mission is to help people to use advanced technology to build better financial habits and to create wealth for themselves and their communities! Rick is the founder of SEDNA Wealth Management, a fee-only modern wealth planning and investment firm focused on providing cutting edge technology and personalized advice to empower individuals and their money. 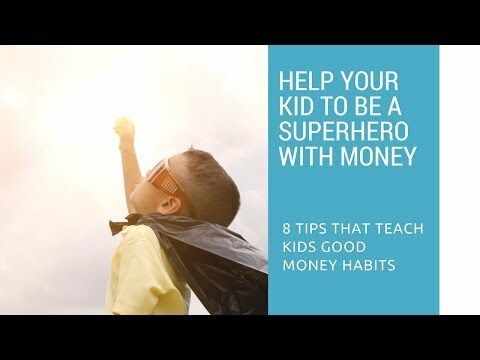 Rick and his team help successful individuals and families create a plan to implement the smart money habits that will transform their current life into their ideal life. He and his team are there to personally help each client on their journey as they grow their wealth and get the most out of life. Rick is highly trained in the areas of financial planning and investment management having worked for two decades at some of the top firms in the wealth management and asset management industry. He earned the Certified Investment Management Analyst designation (CIMA). The information on this site is provided “AS IS” and without warranties of any kind either express or implied. To the fullest extent permissible pursuant to applicable laws, SEDNA Wealth Management and it's employees (referred to as "SWM") disclaims all warranties, express or implied, including, but not limited to, implied warranties of merchantability, non-infringement and suitability for a particular purpose. SWM does not warrant that the information will be free from error. None of the information provided on this website is intended as investment, tax, accounting or legal advice, as an offer or solicitation of an offer to buy or sell, or as an endorsement of any company, security, fund, or other securities or non-securities offering. The information should not be relied upon for purposes of transacting securities or other investments. Your use of the information is at your sole risk. Under no circumstances shall SWM be liable for any direct, indirect, special or consequential damages that result from the use of, or the inability to use, the materials in this site, even if SWM or a SWM authorized representative has been advised of the possibility of such damages. In no event shall SWM have any liability to you for damages, losses and causes of action for accessing this site. Information on this website should not be considered a solicitation to buy, an offer to sell, or a recommendation of any security in any jurisdiction where such offer, solicitation, or recommendation would be unlawful or unauthorized. First, I applaud you for having the smarts to inquire about your options for withdrawing money from your 401(k), prior to doing so. At your age of 53 all withdrawals that you make from your 401(k) will be taxed as regular income for that tax year plus a 10% early withdrawal penalty will be assessed for taking money out prior to age 59 1/2. You may be able to avoid the 10% withdrawal penalty if you qualify for a hardship withdrawal. Most 401(k) plans will have this feature for eligible expenses related to a primary residence, post-secondary education, and major medical or disability expenses. You’ll also want to determine exactly how much you’ll need to withdraw and when. I would seek the advice of a tax professional to understand how it will personally affect your tax situation in taking an amount of money out all at one time or spread out over different tax years. Finally, if you think your financial situation may change in a short period of time, keep in mind that you have 60 days to rollover a withdrawal from a 401k into a IRA account and avoid withdrawal taxes. I hope this information is helpful for you and good luck. Do you pay a higher amount in taxes on a post-tax Roth IRA or a pre-tax 401(k)? Whether you pay a higher amount in taxes on a post-tax Roth IRA or pre-tax 401(k), depends on how you think your income—and by extension, your income tax bracket develop over time. In effect, you’re trying to determine whether the tax rate you pay on your Roth IRA contributions today will be greater or smaller than the rate you’ll be paying on distributions from your 401(k) after you’ve retired (or have to start making them, at age 70½). Yes, it's true that the compounding of interest and earnings will likely leave you with a larger 401k balance that will be taxed as you take distributions, however the amount of those distributions each year will be an import consideration as well. Another important factor in this equation is future tax rates. It’s hard to predict what federal and state tax rates will be 10, 20 or 40 years from now, but given today’s historically low federal tax rates and the large U.S. deficit, many economists believe federal income tax rates will rise in the future—meaning Roth IRAs may be the better long-term choice. This isn't a certainty, however for many clients a Roth IRA will be preferred if this happens. If you're thinking of making contributions to your employer's 401(k), two questions to ask would be 1). Does your employer offer a matching contribution percentage? 2). Does the employer's 401k plan offer a Roth option? In most cases if your employer offers a matching contribution you should always take advantage of it (it's extra money in addition to your compensation). Also, many 401(k) plans offer both a Traditional and a Roth contribution option. A Roth 401(k) will allow you to pay the taxes upfront for your contributions, similar to a Roth IRA. I often mention to clients who can contribute to both pre-tax and after-tax accounts that it’s great to have options to decide which tax pot to pull from in retirement based upon the specific tax year and situation that arises, so you may look at both options if you're eligible. Some basic questions to ask about your personal situation: Which federal tax bracket are you in today? Do you expect to be in a higher or lower one after you retire? Is your annual income likely to increase or decrease as you build towards retirement? Will your retirement income need to come from your retirement accounts? Does your employer offer a traditional and Roth 401(k)? and contribution match? How should I invest the money I am receiving from a financial settlement? Congratulations on your financial settlement and having the fore thought to use this money to secure your family’s future. Before you decide which investment option to choose, I would advise you to consult with an accountant or tax attorney to see if you will owe any taxes on the settlement. Second, I highly recommend having financial plan done to really understand what your current investment options will mean for your financial picture in the long run. All three investment options: investing in the stock market, purchasing rental property, and purchasing a franchise are great long-term opportunities. Each investment should be examined for it’s potential return opportunity, liquidity, risk factors, and expertise/commitment needed. Stock Market: When you invest in the stock market you are owning shares in a business and in most cases creating a diversified portfolio to own shares in multiple businesses. By far, investing into the stock market is the easiest in terms of getting started and exiting when you need access to your money. One of the biggest benefits of stock ownership is that it doesn’t require any work on your part and you can employ a financial advisor to customized a strategy that will help you reach your financial goals. Although, investing in stocks is very liquid, most investors should plan to invest for 5-10 years to manage market volatility. Rental Property: Purchasing a rental property is a great way to earn income and gain appreciation in the real estate market. One of the primary advantages of owning real estate versus the other options is you can use mortgage loans to leverage your actual investment and potentially invest a larger amount than your original investment. Outside of the market risk for real estate you’d want to ask yourself 1). Do you have or know someone (real estate professional) with the expertise to purchase profitable rental properties, 2). the capital to maintain the property, and 3). the time (or money to pay someone) to manage the property? Real estate also isn’t very liquid, but if you’re investing for the long-term (more than 7 years) it should work for you. Franchise Opportunity: Most franchises assume that as an owner, you will be investing some of your time and skill into the business, as well as money. An investment in a franchise should provide you a return for both the money and a salary for the time invested in the business. That salary can be paid to yourself if you’re running the business, or to a manager if you’re not. Like real estate franchise ownership is not a liquid investment, but as a long term investment you can plan a successful sale of the business within a 1-2 year period. Questions to ask yourself are 1). Do I have the time, personality and strengths to manage a franchise business? 2). Can you examine and choose the right franchise opportunity for your area? Deciding what investment is right for you largely depends on your personal circumstances and financial plan. My initial thoughts would be why not start with an investment into a stock portfolio and begin doing your research into successful real estate and franchise opportunities. With proper planning there is no reason that you can’t invest in all three. First of all, let me congratulate you on your expected retirement in just a year from now and more importantly, having the smarts to ask the questions that will prepare you financially for life beyond employment. I’m a big fan of getting out of debt - paying of credit cards and mortgages for many is not only a smart financial move, but it also can have a huge psychological benefits as you often can relieve stress and anxiety when you take away certain financial responsibilities. However, in your case and similar scenarios, I’m almost always going to advise you not to take a lump sum payment out of your 401(k) plan to pay off your mortgage. A big part of this decision relates to taxes, and unless you have a really unique tax scenario you’re better off paying the mortgage off gradually or with non 401(k) money. First, a withdrawal of $20,000 from your 401k will mean you’ll be taxed on $20,000 of income for the year. Depending on your federal and state tax rate you’d likely need to withdraw 25-30k (or more) to cover both the mortgage and the taxes at the end of the year. Second, after you pay off your mortgage you’ll no longer have a mortgage interest deduction for your taxes. In your case it’s not a large amount given your mortgage is only $20,000, however for tax purposes this move would not work to your advantage. 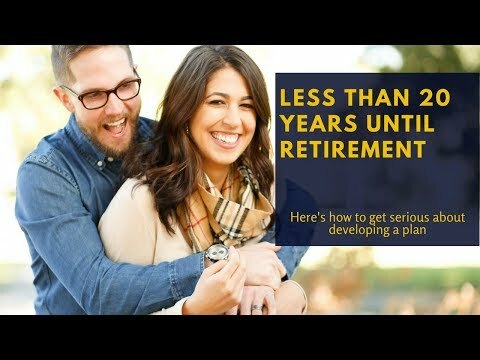 Since you’re only one year away from retirement my best advice is to have a professional financial plan done to truly figure out the best way for you to structure your income from a 401(k) plan and other sources of income that your might be depending on during retirement. The tax and investment savings of knowing when and how to receive income during retirement is one of the most important things I discuss with pre-retirement clients.